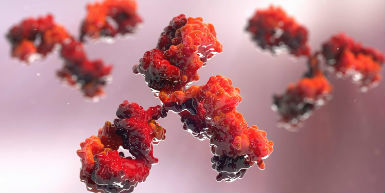 Two op-ed pieces in Nature and Nature Methods discuss the importance of standardizing antibodies by improving antibody quality and performance in order to enhance reproducibility in biomedical research. Protein Capture Reagents Program grantee Dr. H. Tom Soh and colleagues developed a way to make apatmers quickly and have used aptamers in a new device to track the drug levels in an animal’s bloodstream in real time. 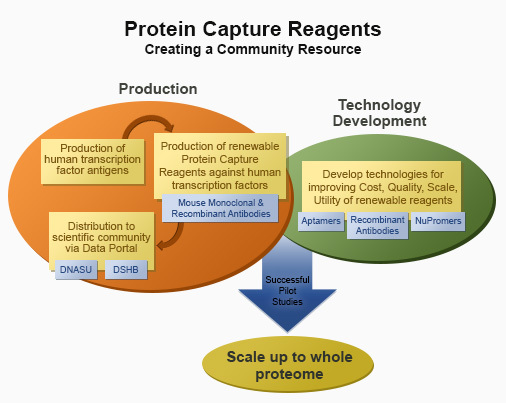 The goal of the Common Fund’s Protein Capture Reagents program is to develop a community resource of renewable, high-quality protein capture reagents, with a focus on the creation of transcription factor reagents and testing next generation capture technologies. The program has developed new resources and tools to understand the critical role the multitude of cellular proteins play in development, health, and disease. These resources will support a wide-range of research and clinical applications by enabling the isolation and tracking of proteins of interest. 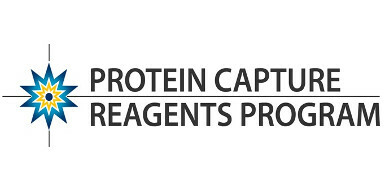 The Protein Capture Reagents program issued seven cooperative agreements, beginning in 2010. A 2016 commentary paper published in Nature Methods outlines the accomplishments of the program. The program generated an array of monoclonal antibodies to transcription factor targets in addition to a host of recombinant antibodies. These antibodies are publicly available for purchase and can be located through the PCRP Data Portal. Four administrative supplements were issued in 2017 for functional validation of these reagents, specifically for their binding ability under different experimental conditions and biological contexts. Validation efforts are ongoing. To understand what makes a cell function normally and what may go awry in disease, we need better tools and resources, such as renewable protein capture reagents and probes, to study how proteins work in isolation and how they interact with other proteins, carbohydrates, or DNA regions within a cell. Ideally, we would have a library of protein capture reagents that would allow us to identify and isolate all proteins within cells – the so-called “proteome” – to ensure broad application in research and clinical studies aimed at understanding, preventing, detecting and treating disease. Existing renewable protein capture reagents, such as monoclonal antibodies, have been developed for a number of protein targets, although these represent only a subset of all proteins comprising the human proteome. 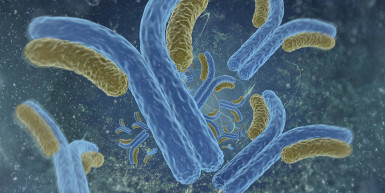 In addition, many monoclonal antibodies lack the desired level of specificity because they do not reliably target only the protein of interest. This is particularly problematic given the multiple forms assumed by any one protein and the broad range of protein types in the body. A renewable resource of protein capture reagents – specifically designed to meet research and clinical demands ranging from protein isolation and high-throughput assays to diagnostics and biomarker development – is needed to advance the field of proteomics and fuel biomedical research. To have the maximum benefit, such reagents would need to be high quality, affordable, reliable monoclonal antibodies and other reagents that can collectively target the range of possible proteins within cells and tissues. But what do these reagents look like and how can they be developed, optimized and scaled for use in large-scale proteomics research and clinical applications? The Common Fund Protein Capture Reagents program sought to address these questions and establish a “protein capture” resource of reagents for the biomedical community. See: Program Highlights for more information and ProteinCapture.org for the reagents that are currently available. Find information on available affinity reagents for human transcription factors generated by the Protein Capture Reagents Program, including antigen source, binder type, performed validations, and links to distributors. PCRP investigators describe an integrated production and validation pipeline used to generate a collection of 1406 mouse monoclonal antibodies to 737 human transcription factors, made available to the research community. Read more about this resource in Nature Methods. 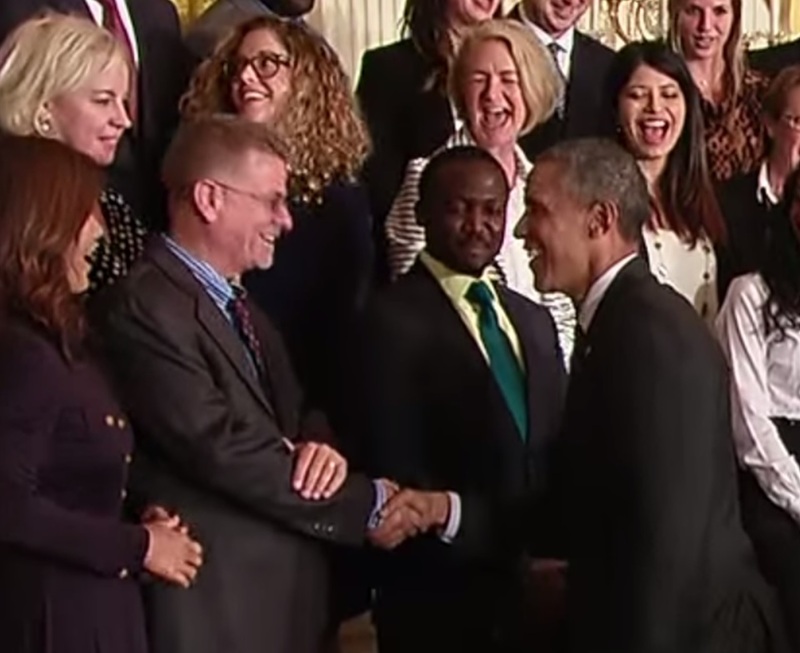 CDI Laboratories, whose system of monoclonal antibody production was part of the Protein Capture Reagents Program, was showcased at the first-ever White House Demo Day held on August 4, 2015. Ignacio Pino, president of CDI Laboratories, founded the company in 2008, with Heng Zhu, Seth Blackshaw, Jef Boeke, Dan Eichinger and Joe Bonaventura.